Seeing Western in person is a great way to get a feel for the campus, meet some of your instructors, get your questions answered, or get a close look at the technology you will use in your hands-on learning. You’ll also start to develop relationships with your career coach, a financial aid advisor, and other staff who will help you map out your path. Can't make it to campus? 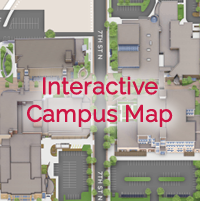 View our interactive map to see what Western has to offer. General campus tours are available Wednesdays and Fridays at 9:00 a.m. and 1:30 p.m. Please schedule your visit at least one week in advance. General tours are not program specific. They include a 60- to 90-minute walking tour, encompassing several blocks and covering the following areas: Welcome Center, Residence Hall, Wellness Center, Learning Commons, Math Lab, Union Market, Student Development Office, Campus Shop, Library, Academic Computer Lab, and Assessment Center. Program Shadows can be scheduled to learn about specific programs. Questions? Contact us at tours@westerntc.edu. Group tours are intended for groups of six or more students and can be adapted to meet the needs of your group based on the grade level and length of the tour. Tours are available while classes are in session. To visit our Regional Locations in Black River Falls, Independence, Mauston, Tomah, or Viroqua, just contact those locations directly and arrange for a tour. You’ll get to see the lab spaces and classrooms, including our Interactive Distance Learning (IDL) classrooms. IDL classes originate at any of our seven campuses. Through television cameras and microphones, you are able to participate in live classes at more than one campus location.